They were very accommodating even when we wanted to change a couple songs days before the wedding. They were completely on top of everything and our guests all said they were amazing! The dance floor was full the entire time! Our DJ even took the time to make sure we were able to get to all of our tables to thank then before getting dancing started for the evening. They were awesome! Thank you so much! If I could give Mike and Jeff higher than a 5 star rating, I would. From beginning to end they were incredible to work with. The entire booking process was incredibly easy, and Jeff was so responsive throughout the planning process. We requested Mike after seeing him play a few weddings, and oh boy did he not disappoint. He was kind, professional, and kept the dance floor packed for the entire night. I couldn’t be happier with booking Toy Bros. Jeff was incredible to work with, and the entertainment was amazing. I had people calling me the next day asking who my DJ was. Jeff kept the music going and the dance floor was packed all night. Also, the photobooth was a hit and the personal book with messages from the guests was perfect. I highly recommend this company! Toy Bros truly made my wedding amazing. …Couldn’t help but write a reveiw after Boban did such a great job at our ceremony and wedding. 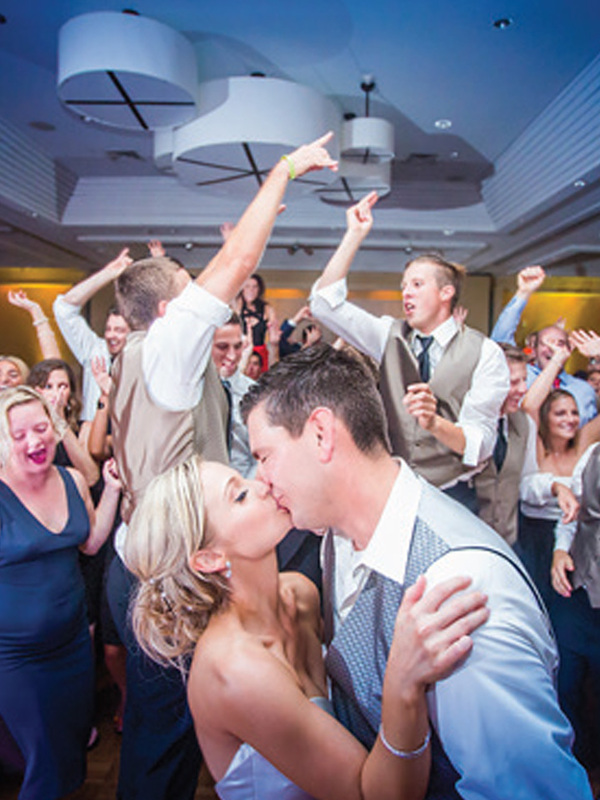 He was attentive and had the dance floor packed … even on a Sunday! The photo booth with Mike was a blast too and my husband wasnt for it in the beginning but he is in most of the photos! I guess the proof is in the pudding … Briana and Jeff were awesome to work with and super responsive. HIGHLY RECOMMEND! Ready to live your fairytale? Contact us, and let’s get to work on planning your dream event!